A staple of Britain’s traditional culture, the royal family is certainly something to be commemorated within the borders of the UK. 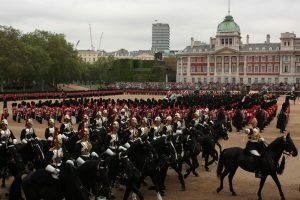 Be it for the history behind our royal sovereign, the tourism that they, and iconic structures like Buckingham Palace and Windsor Castle, bring into the country, the presence of a Monarch is to be applauded. This notion is never more apparent than this coming week, as on the 10th June the Queen marks her 91st birthday! 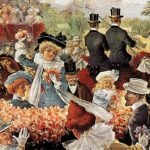 One of two documented birthdays (the actual day of her birth being on the 21st April), kings and queens down the ages have been known to have an allocated summer shindig as there is a greater likelihood of good weather for the annual birthday parade. And what better way is there to celebrate such than that which is perhaps the most quintessentially British pastime, that delightful midday indulgence that has been bringing loved ones together for generations, and the ideal centrepiece for another of the nation’s favourite activities – the good old-fashioned conversation – that’s right, the Afternoon Tea! 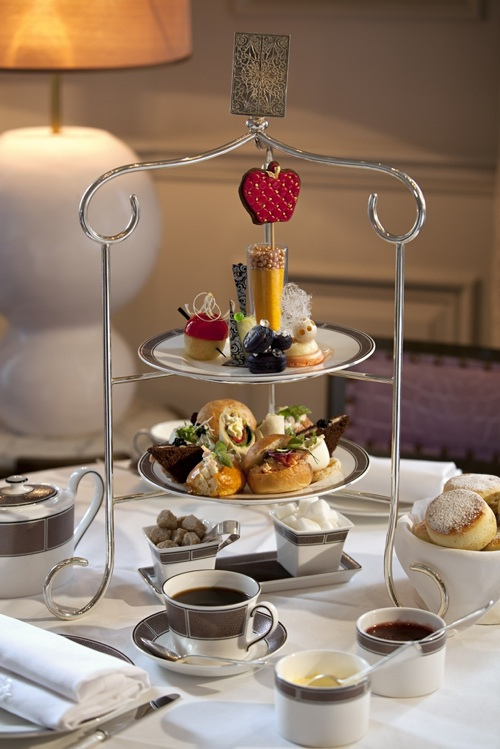 Typically offering up an array of exquisite treats, including delicate finger sandwiches, elegant cakes, amiable pastries and scrumptious scones, the afternoon tea is an age-old convention that is based on the beverage that is held most dear by us Brits – the cuppa. Once a luxury, afternoon tea is said to have originated among the wealthy classes in the 1840’s with the Duchess of Bedford, Anna Marie Russel, being largely credited with its creation due to her need for a snack to accompany her daily tea ritual. 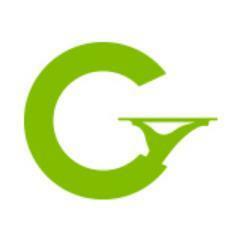 Such a ritual has been expanded upon with a number of fantastic eateries developing their own version of afternoon tea, though the majority do use the long-established staples outlined above. 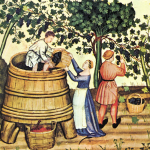 From country pubs to fine dining establishments and cafes to hotel bars, dining venues across the country have taken on the concept and have adapted it to their tastes and requirements, the biggest highlight for many being the addition of Prosecco, which is definitely something I can get on board with. 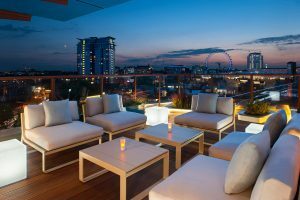 H10 London Waterloo Hotel, Waterloo: A stylish, contemporary hotel that offers superb views across London; where could be better to while away an afternoon? The Piccadilly, Piccadilly: Providing all who enter with a fantastic escape from the hustle and bustle of the West End, or the perfect refuel amidst a day of activity. Proud East, Shoreditch: Decorated like a 17th century coffee house and offering up superb views across the canal, this sublime restaurant is unparalleled for miles around. The Lowther, York: A wonderfully fashionable eatery that combines the rustic with the modern, this outstanding venue overlooks the glorious, fast-flowing River Ouse. 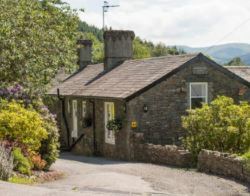 Ravenstone Lodge, Bassenthwaite: Spectacular countryside views meet a charming, scenic country house hotel in what promises to be an enchanting place to dine. Heath Cottage Hotel, Dewsbury: Said to have been originally built in 1850, this picturesque establishment combines a fine history with some truly delectable fare in the creation of a meal that is sure to be repeated. 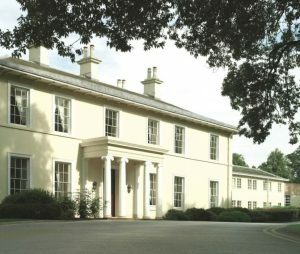 Eastwood Hall, Nottingham: Surrounded by acres of striking greenery, and home to a magnificent golf course, it is ideal for a midday repast before or after a round. Dog in a Doublet, Peterborough: Sat at the heart of the Staffordshire countryside, between the historic towns of Staffordshire and Uttoxeter, providing a fantastic escape from those everyday trials and tribulations. The Red Lion at Great Chatwell, Newport: A 17th century public house nestled away among the peace and tranquillity of the Staffordshire village of Great Chatwell, and the ideal setting for a spot of rest and recuperation. Derby Manor, Bournemouth: Found just a stone’s throw away from the beauty of Bournemouth Beach, visitors can take in the spectacular coastal landscape either side of some scrumptious fare. Thistle Hotel, Poole: Glorious sights and an enchanting dining room combine to create an unforgettable dining experience. Bumbles Coffee Lounge, Somerset: A fabulous town centre café where the warmest of welcomes is sure to be extended. Abington Hotel, Abington: A plethora of resplendent views over the splendid Scottish countryside greet all that wish to partake in tiered stands of pure bliss at this hotel. 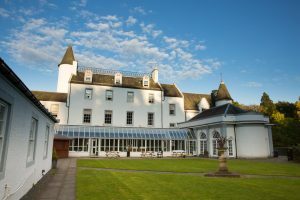 Mercure Barony Castle, Edinburgh: A commanding venue set within an old castle, this is a must-visit for anybody that finds themselves hankering for an afternoon tea in the Scottish capital city. The Dun Bhlathain Brasserie, Dunblane: Sat within the magnificent Old Churches House and surrounded by idyllic cottages, commanding castles and stunning greenery, a serene dining experience is guaranteed at this Brasserie. K9 Plus 1, Barry: Dog themed, dog friendly and just a stone’s throw away from the iconic Smugglers Cove, there’s nothing for dog owners not to like. 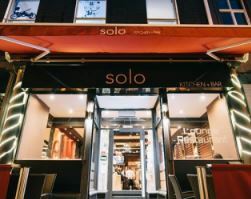 Solo, Belfast: A chic and fresh all-day bar and restaurant, delivering a wealth of quintessential favourites as well as a number of international style delights. Scooby Brew, Bangor: A fine spot to indulge in that which is most traditionally British – with your dog! 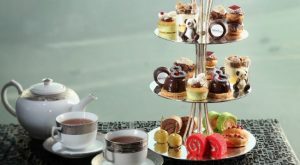 An ever-growing trend in the UK, we believe that there is no better way to celebrate this particularly British celebration than by enjoying a national favourite, and as aforementioned, this is merely the tip of the iceberg when it comes to restaurants offering afternoon tea to Gourmet Society members at a fantastic discount. If you have partaken in a feast at one of these delightful venues, or have rejoiced in a different way entirely, why not let us know in the comments below or on Facebook or Twitter?